This is the product page for Pod à porter for the 3d generation iPod shuffle. For the 4th generation shuffle, go here. 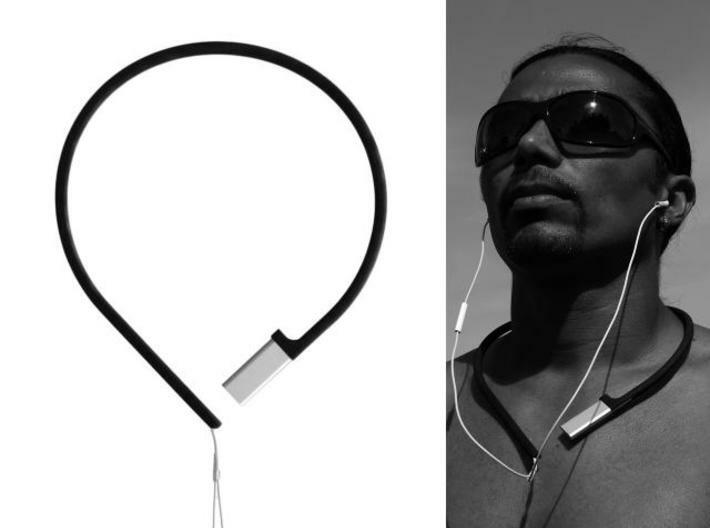 In the street or at the beach: Pod à porter is the easiest way to wear your music, even when you’re not wearing much. 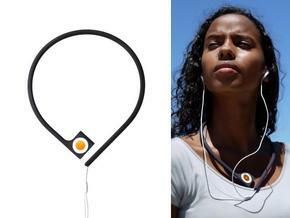 No more wire-tangle, earphones dangling by your knees, or ripping buds from your ears when you take off your jacket. Fits the 3d generation iPod shuffle and the Apple earphones it ships with; Pod à porter is available in various colors, as shown below. 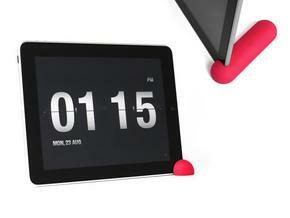 Pod à porter is manufactured from tough, but flexible polyamide, with a fine texture. Check the support/materials section of this website for more information. The product has not been specifically designed or tested for use during work-outs or sports, so it may not be suitable for your particular type of exercise. Some powder residue from the 3d printing process may be found on it; if this is the case, it should be easy to clean off. 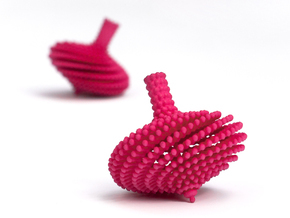 Product is shipped in basic Shapeways packaging. Check www.michielcornelissen.com for assembly instructions and more information. NY Times mentions Pod å`porter!